Understanding when and how much shoulder muscles are active during upper extremity sports is helpful to physicians, therapists, trainers and coaches in providing appropriate treatment, training and rehabilitation protocols to these athletes. This review focuses on shoulder muscle activity (rotator cuff, deltoids, pectoralis major, latissimus dorsi, triceps and biceps brachii, and scapular muscles) during the baseball pitch, the American football throw, the windmill softball pitch, the volleyball serve and spike, the tennis serve and volley, baseball hitting, and the golf swing. Because shoulder electromyography (EMG) data are far more extensive for overhead throwing activities compared with non-throwing upper extremity sports, much of this review focuses on shoulder EMG during the overhead throwing motion. Throughout this review shoulder kinematic and kinetic data (when available) are integrated with shoulderEMG data to help better understand why certain muscles are active during different phases of an activity, what type of muscle action (eccentric or concentric) occurs, and to provide insight into the shoulder injury mechanism. Kinematic, kinetic and EMG data have been reported extensively during overhead throwing, such as baseball pitching and football passing. Because shoulder forces, torques and muscle activity are generally greatest during the arm cocking and arm deceleration phases of overhead throwing, it is believed that most shoulder injuries occur during these phases. During overhead throwing, high rotator cuff muscle activity is generated to help resist the high shoulder distractive forces ≈0–120% bodyweight during the arm cocking and deceleration phases. During arm cocking, peak rotator cuff activity is 49–99% of a maximum voluntary isometric contraction (MVIC) in baseball pitching and 41–67% MVIC in football throwing. During arm deceleration, peak rotator cuff activity is 37–84% MVIC in baseball pitching and 86–95% MVIC in football throwing. Peak rotator cuff activity is also high is the windmill softball pitch (75–93% MVIC), the volleyball serve and spike (54–71% MVIC), the tennis serve and volley (40–113% MVIC), baseball hitting (28–39% MVIC), and the golf swing (28–68% MVIC). 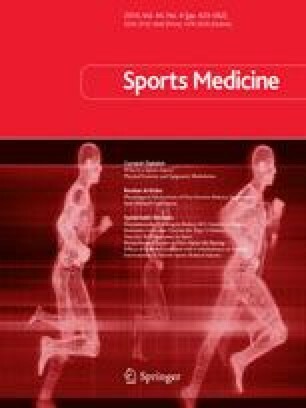 Peak scapular muscle activity is also high during the arm cocking and arm deceleration phases of baseball pitching, with peak serratus anterior activity 69–106% MVIC, peak upper, middle and lower trapezius activity 51–78% MVIC, peak rhomboids activity 41–45% MVIC, and peak levator scapulae activity 33–72% MVIC. Moreover, peak serratus anterior activity was ≈60% MVIC during the windmill softball pitch, ≈75% MVIC during the tennis serve and forehand and backhand volley, ≈0–40% MVIC during baseball hitting, and ≈70% MVIC during the golf swing. In addition, during the golf swing, peak upper, middle and lower trapezius activity was 42–52% MVIC, peak rhomboids activity was ≈60% MVIC, and peak levator scapulae activity was ≈60% MVIC. No funding was provided for the preparation of this review, and the authors have no conflicts of interest that are directly relevant to the content of this review.